Major rivers like Narmada, Sabarmati, Mahi and Tapti and small rivers like Saraswati, Damanganga and Banas flow through the state. There are three mountain ranges in the state like Gir Range, Barda Hills and Girnar Hills. About 64.88 lakh hectares of the land in the state is under irrigation now. There are various beaches in the state at Porbandar, Somnath, Veraval, Beyt Dwaraka and Mandvi. Gujarat has the longest coastline of about 1600 km. The state has varied climatic conditions. The north western part of the state is mostly dry due to the desert area existing there. The southern region sees heavy rainfall during the monsoon period. 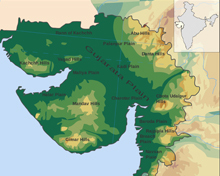 Overall climate of Gujarat is extreme due to the varied topographical conditions. 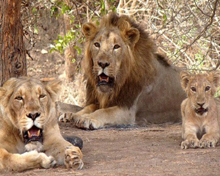 Gujarat has a total forest area of 19112.54 sq.km. and the forests are unevenly distributed all over the state. About 7.46 % of the geographical area of the state is under forest cover.